Model aviators and the U.S. Armed Forces have had a long-standing relationship. 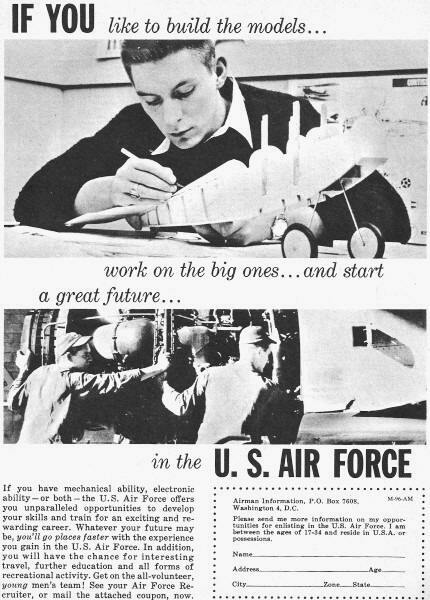 Up until the early 1970s, the U.S. Navy sponsored and promoted the Academy of Model Aeronautics' (AMA) Nationals competition right on actual Navy bases. 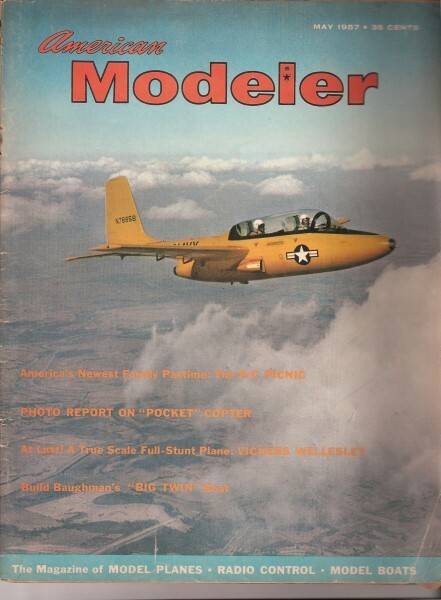 Their motivation was to become a familiar entity to young modelers who would, hopefully, eventually enlist or receive a commission when they come of age. It was working well until the average age of national competitors began creeping upward to where only a very small percentage of all competitors were within recruiting age. 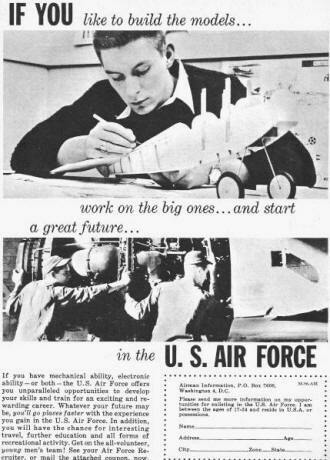 At that point, the Navy issued an ultimatum to the AMA: bring more youngsters into the competitions or loose the sponsorship. AMA officials heeded the call and was able to improve the situation, but alas it was short-lived. A few years later the Navy no longer considered its involvement worthwhile. Flash forward to the scene of today's competitions and you can see how youths comprise a very small percentage of the Nats. As of 2010, the average age of an AMA member is somewhere around 58 years old. Today's youths are adept at activities involving computers and wireless devices, no so much at hands-on building and troubleshooting. Since much of the military technology has evolved into computer-controlled equipment, the fit is still pretty good with available talent, so it's not so bad. Most of the actual equipment maintenance is contracted out to the companies that design and build it, so there isn't much of a need for military personnel to do it. One really cool aspect of the new military is the proliferation of remotely piloted vehicles (RPVs), with many opportunities for guys who like flying models to do it for a living! There are manpack formats now where soldiers in the field pull a Styrofoam drone out of a backpack, do a quick assembly, and toss it into the air for an aerial surveillance sortie to peek over the next hill or tree line to see if the enemy is lurking. 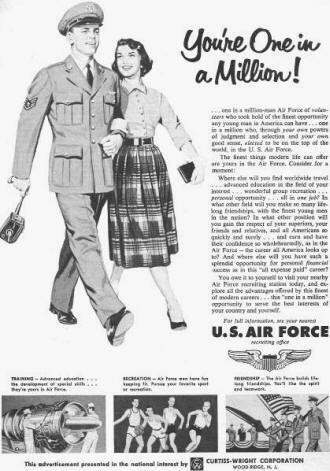 I would have loved to have had such a job while in the USAF back in the late 1980s early 1980s (I was an airport surveillance radar tech). 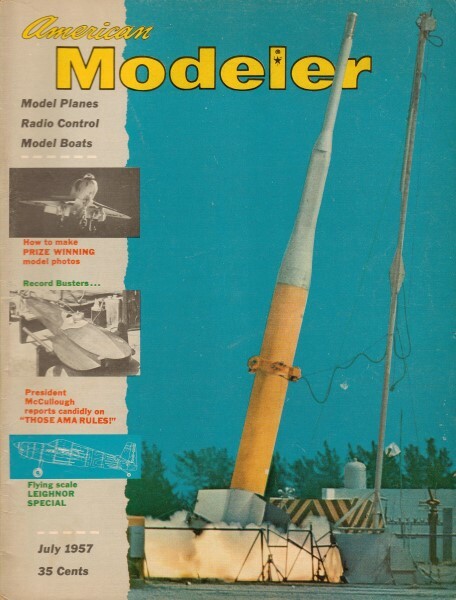 Advertisements below were scanned from circa 1957 editions of American Modeler. 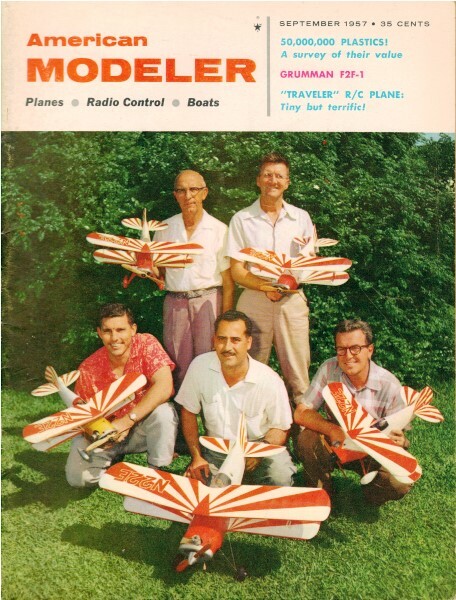 The theme centered on leveraging young peoples' interest in hands-on activities and a fascination with things that fly. 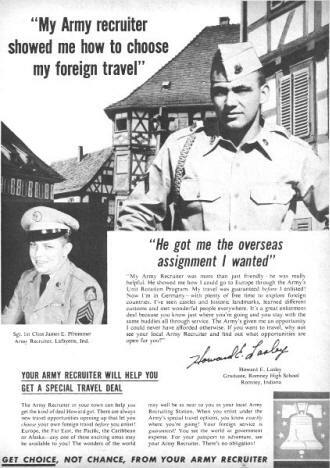 Very few tasks in modeling were easy - particularly actually getting a model to fly properly - so the Army, Air Force, and Navy figured that guys with the determination to succeed in such endeavors would be prime candidates for the Armed Service. They were right. It is rare to see such an ad these days, and if you do, if is very small.